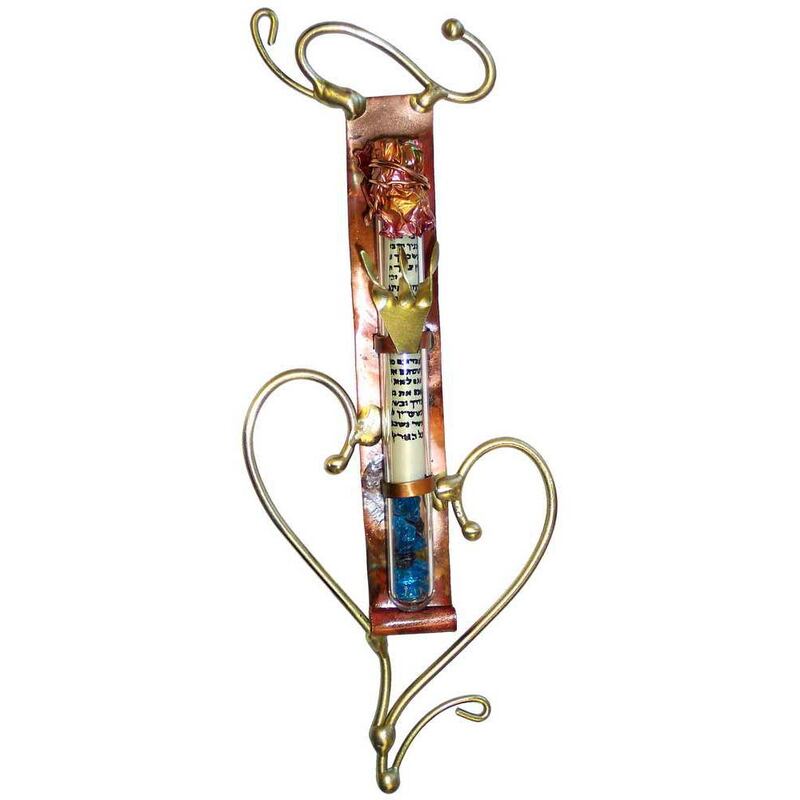 Handcrafted By Gary Rosenthal This Copper Backed Mezuzah Has An Elegant Brass Heart. The Broken Glass From A Wedding Can Be Put Inside By The Bride And Groom In The Accompanying Glass Tube, Beneath The Scroll. This Mezuzah, A Perfect Wedding Gift, Is 6" Tall. What Is A Glass Vessel? A Glass Vessel Is What The Groom Steps On At The End Of The Jewish Wedding Ceremony. Everyone Then Shouts "Mazel Tov!" There Are Several Other Names This Glass Can Be Called; Groom's Glass, Chuppah Glass, Smash Glass, Crush Glass. What Do I Do With The Glass Vessel Once It Is Broken At The Wedding? 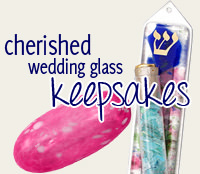 This Wedding Glass Keepsake Is Designed So That You Can Open It And Carefully Place The Broken Glass Inside. We Highly Recommend That You Use Tweezers And Not Your Hands. If The Glass Pieces You Have Are Too Large To Fit In The Keepsake You Can Carefully Hammer Them Into Smaller Pieces. What Do I Do With The Extra Glass That Does Not Fit In The Keepsake? The Wedding Glass Keepsakes Come In All Shapes And Sizes And Hold Different Amounts Of Glass. Depending On The Size Of The Glass Vessel That Was Stepped On You Will Usually Have Additional Glass Left Over. You Can Keep It In Its Pouch As An Additional Wedding Memento. 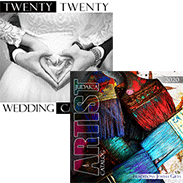 You Can Save It For Your First (Or Any Other) Anniversary And Make A New Wedding Glass Keepsake Gift To Add To Your Collection. The Possibilities Are Endless.